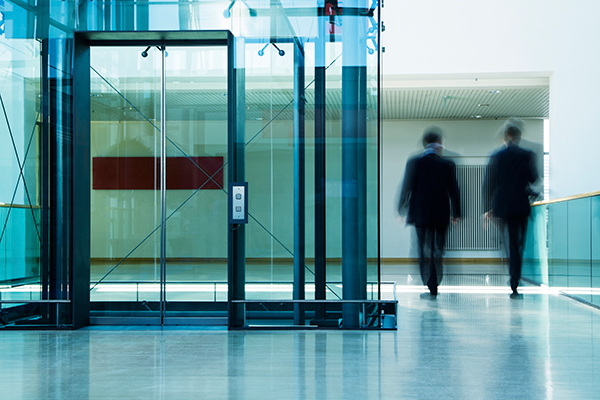 As a property manager, you know that elevator modernizations can be necessary. 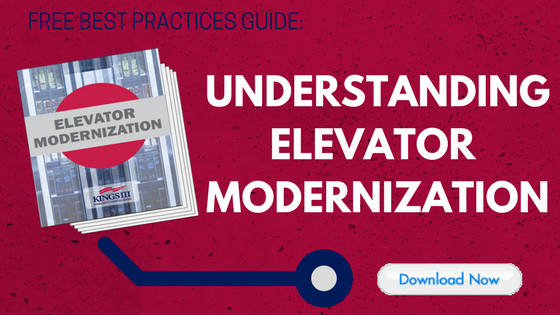 This blog will help you determine if you're in need of a modernization & presents common ones to choose from, including solar-powered elevators, an energy efficient option. ● Measuring performance of acceleration, deceleration, vibration, door-opening times and sound. ● The ending of a warranty or service life. Remember, if you are a Kings III customer and are modernizing your elevator, we will replace your emergency phone free of charge. As we all know, elevators save you footsteps, but now, they can also save carbon footprints. The solar elevator (you knew it was coming sooner or later) was introduced by the Schindler Elevator Corporation in 2013, called the Schindler 3300 Hybrid Solar Solution and has since become a part of multi-floor buildings around the world. Solar elevators operate from solar energy, but they can also run from grid power, or a combination of both (hence the hybrid). One consideration before you order one: make sure you have consistently adequate available sunlight in your area. These elevators are powered by solar panels placed on your building’s roof. The size of the panels depend on the building’s expected traffic and how much power may be needed during times of decreased sunlight. Energy captured by the solar panels are ready for immediate use, or can be saved in batteries for later. This type of stored energy comes in handy during power outages, as the building can tap into it and continue operation. This minimizes the odds of an elevator getting stuck. Learn more ways to reduce elevator emergencies and entrapments. Will a solar-powered elevator alter your ride? No, not much. The cabin will most likely look the same, and the waiting time won’t change. And, don’t worry, your passengers can be assured that the elevator won’t stop as soon as it gets a bit cloudy since the elevator works on stored energy- even at night! Another advantage: easy integration. It’s a single-phase plug-in solution. Implementation lowers energy costs by making sure that the electrostatic discharge (ESD) is powered with solar energy as much as possible. Bonus points- it’s also a great way to market your property as Earth-friendly. One way that you can go solar is with a power purchase agreement (PPA). In this case, a third party owns the solar panels on the roof, while you as the property owner pay a monthly fee for the energy produced rather than owning the system outright. The average length of a PPA contract is 25 years. Keep in mind: A PPA contract asks you to buy all the energy that the system will generate, whether you use it or not. You’ll want to do the math on how big or small your energy needs are, or will be over the next quarter century (measured in kilowatt hours, or kWh). Make sure the system’s energy output matches your usage. Also keep in mind that your energy needs may change over 25 years, especially if you expand. No matter what kind of modernization you choose, the most important component is safety. Make sure your elevators have the most dependable emergency communications. Kings III solutions help to reduce risk, liability and cost. Keep in mind that Kings III will replace your elevator emergency phones free of charge when you modernize. Learn more at www.kingsiii.com.